South London-based multi-instrumentalist Tom Misch has come out with his jazz, hip-hop and soul-infused debut album and it comes across as catchy, competent but perhaps too much on the safe side. This opening effort is impressive, being predominantly self-produced, the 13-track album boasts a whole host of fun and pleasant songs. Misch’s efforts on the guitar are particularly good, he makes skilled playing come across as effortless and his smooth sounds are the epitome of chill. In fact, the entire album can be described as smooth and chill, catchy guitar and bass hooks characterise most of the tracks and brass and synth solos punctuate the ends of songs like ‘Water Baby’ and ‘South of the River’. Misch’s vocals glide over the instrumentation in almost every song, being crisp and laidback. The opener after an intro aptly named ‘Before Paris’ is ‘Lost in Paris’ and is a great showcase of Misch’s music. The constant development of the guitar parts over a simple beat is engaging and Misch’s voice is as calming as ever, although his lyrics reflecting on him losing a memory stick full of original music in the titular city do lack depth. Finishing the song off with a verse by DC rapper GoldLink and a sax solo leaves me excited for the rest of the album. However, the following track and first single released ‘South of the River’ fails to build on that promising opening. The guitar is much more simplistic and remains so throughout the song; violins play the main hook of the song and unfortunately the strings in this album fail to sound as polished as the other instruments and somehow Misch’s lyrics, alluding to his love for his hometown, are even more basic than his ode to a lost storage device. Uninteresting lyrics are a persistent feature in this work. As nice as Misch’s voice sounds, he often fails to explore his subject matter much or create particularly vivid imagery. The most interesting showcase of his lyrics are in ‘Movie’ (‘Man Like You’ also peaked my interest with its lines, only for me to find out it’s a cover of Patrick Wilson) where, after being introduced by a classic-film style monologue by Misch’s sister, he proceeds to sing about a failed relationship full of movie-based metaphors and references to his phone’s role in him reminiscing about the past, but these lyrics are laid over a subdued R’n’B beat, making them the main focus of the song and creating a track that isn’t anywhere near as engaging as the more upbeat and technically challenging tracks on the album, like ‘It Runs Through Me’. The four features on the album provide more engaging vocals, however this is a somewhat disappointing number of features considering Misch’s last mixtape only had 4 tracks without features, with my highlight being Loyle Carner’s inclusion in ‘Waterbaby’. Throughout the album, Misch more than proves he is a skilled musician, however his production skills are not up to par with his playing. The album is full of agreeable, or at least inoffensive, tracks and that’s the problem: his songs lack the panache or creativity that would elevate this style of music into truly great songs. His beats are modest and even his superb playing doesn’t deviate much from the norms of the styles he draws from, so by the time the album ends, I’m left wishing he’d done more with what he had. This may sound like I dislike this album: I don’t. It’s easy to listen to and instantly gratifying, but with some glaring issues in aspects of its production and songwriting. 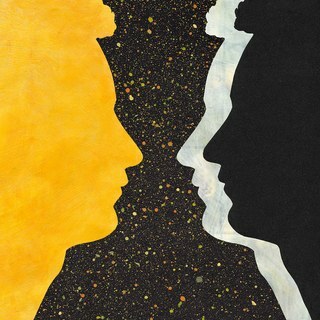 It leaves me looking to the future when I’ll hopefully hear Tom Misch coming out of his shell and building on this effort to create something fantastic. Geography, the debut album from Tom Misch, is out now via Beyond The Groove Records.